About From Nylon to Polyethylene, plastics surround us. This website combines narratives about the people, materials, and corporations responsible for our cultural embrace of plastic with a searchable digital collection of original research materials from Syracuse University Library, including manuscripts, printed materials, photographs, and artifacts. Many of these materials are also available to scholars and researchers who visit Syracuse University Library. The Plastics Collection at the Syracuse University Library, founded in 2008, is the largest university-based resource on the history of plastics. The purpose of the Plastics Collection is to serve as a research and programming center to advance the study and understanding of plastics in modern society, including its role in chemistry, technology, industry, marketing, health, art, design, and other fields. 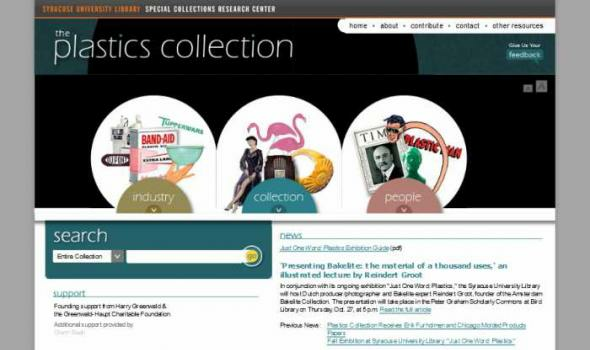 The Plastics Collection includes expansive collection of books, periodicals, manuscripts, and plastic objects produced from the late-19th Century to the present day. The Library maintains an active acquisitions program for all areas of the Plastics Collection. 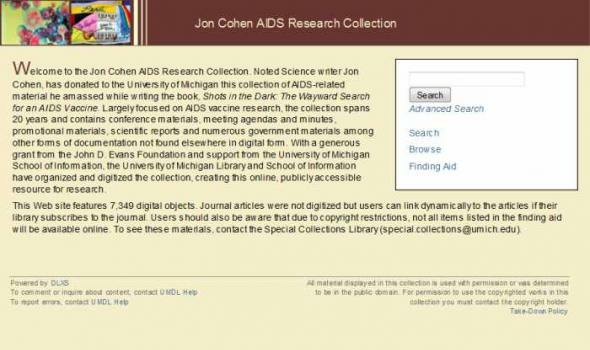 This website was begun in 2007 as a joint project of the Syracuse University Library and the Plastics History & Artifacts Committee (PHAC) of the Plastics Pioneers Association. It was initially funded by PHAC, under the leadership of Glenn Beall, and by Harry Greenwald and the Greenwald-Haupt Charitable Foundation. In 2008, the collection expanded dramatically when the National Plastics Center and Museum in Leominster, Massachusetts, closed and transferred its artifacts, books, and manuscripts to Syracuse University's care. We welcome your participation in the future of this website. Click contribute above to support the growth and development of the collection. Click contact to ask a question or suggest an opportunity. Thank you for your interest in plastics.